A unique service for healthcare organisations, architects, engineers and medical device companies, using tailored simulation methodology to assess and improve all facets of healthcare delivery. Study on-site at Mater and learn practical skills to delivery exceptional, patient-centred care. Providing the latest evidence-based practice and information to healthcare professionals to strengthen their skills, knowledge and communication. 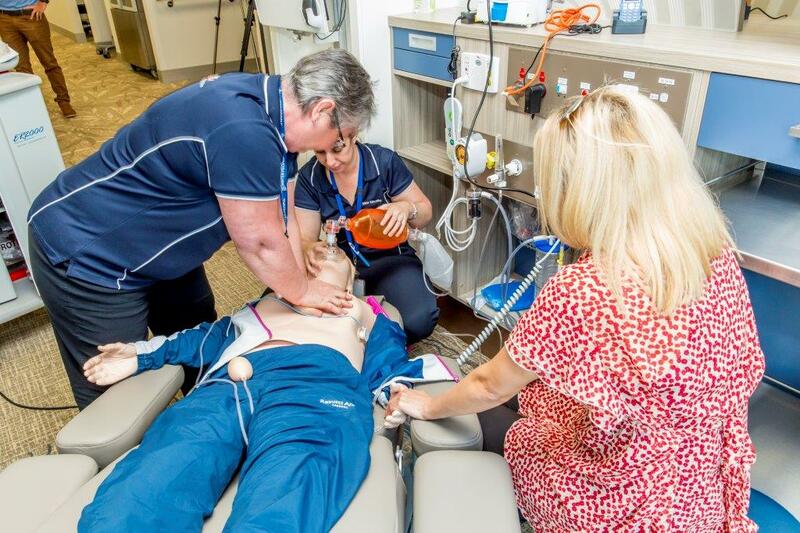 Mater Education is a nationally accredited, hospital-based independent Registered Training Organisation developing and delivering courses in our clinical simulation facility, across Mater campuses, and in regional Australia. We offer a range of courses for undergraduate, postgraduate and prevocational students, through to highly-experienced practicing clinicians. Mater Education is a leading provider of contemporary interprofessional healthcare education, training and simulation, with worldclass clinical simulation programs, facilities and faculty. We aim to improve healthcare delivery and outcomes through simulation and learning, by developing a confident and competent contemporary health workforce. We also work with organisations to develop and run simulation programs to test and improve processes, systems and healthcare environments. Find out how you can start your healthcare career. Developing and delivering immersive, high fidelity simulation programs, training the next generation of simulation experts, and providing unique services to test and improve healthcare facilities and services for other organisations.